Laid down, 23 November 1944, at Chicago Bridge & Iron Co., Seneca, IL. 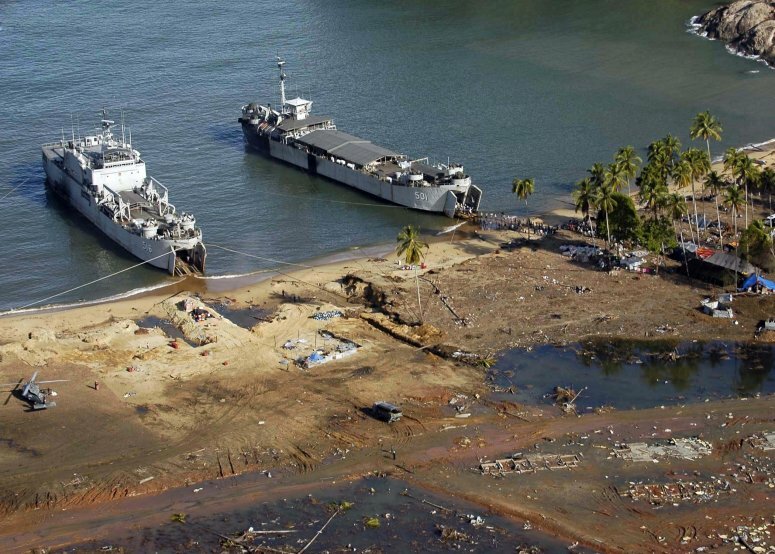 125k KRI Teluk Langsa (LST-501) (ex-USS Solano County (LST-1128), at right and KRI Teluk Banten (LST-516) beached at Tjalang, Sumatra, Indonesia. 9 January 2005. The two ships and a US Navy Seahawk helicopter deliver relief supplies and evacuate Indonesian citizens at Tjalang. Helicopters assigned to Carrier Air Wing Two (CVW-2) and Sailors from USS Abraham Lincoln (CVN-72) were supporting Operation Unified Assistance, the humanitarian operation effort in the wake of the Tsunami that struck South East Asia. 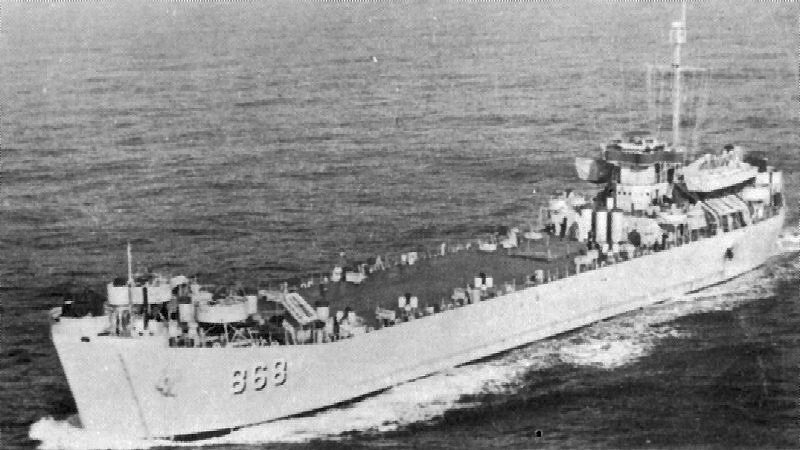 The Abraham Lincoln Carrier Strike Group, at the time of this photo was operating in the Indian Ocean off the waters of Indonesia and Thailand.